What: Dinner at El Sombrero Mexican restaurant at Key Center. When: Monday, March 7th. 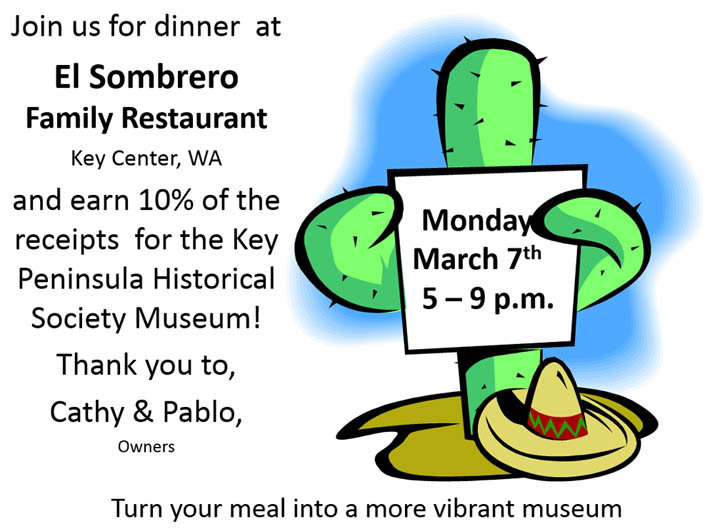 5 p.m. until 9 p.m.
Why: 10% of the receipts will be donated to the Key Peninsula Historical Society.